The wonderful shape and texture of these knobbly trees have always intrigued me. Hand-dyed Silco cotton and silk mix. Machine quilted background and hand embroidered embellishment. 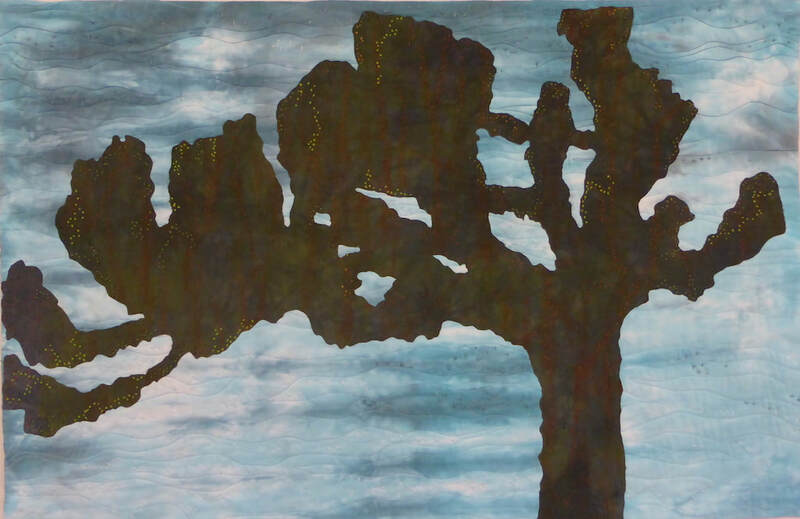 A partner quilt for Stormy Oak Tree, it captures the same eerie atmosphere.